Step 2 In a bowl mix the coconut flour, erythritol, spices, salt and baking powder. Add the eggs and vanilla and mix. In another bowl, place the mozzarella, butter and cream cheese. Microwave for 2 minutes. Remove from the microwave and quickly stir. Add the coconut flour mixture and work into a dough. Create 6 balls from the dough and shape into a bun. Place the buns on a parchment paper lined baking tray. To make the cross, mix the almond flour with the water until you have a thick paste. Either pipe onto the buns or gently roll into a strip and place on top of the bun, flattening out once in place. Step 3 Bake for 25-30 minutes until golden. 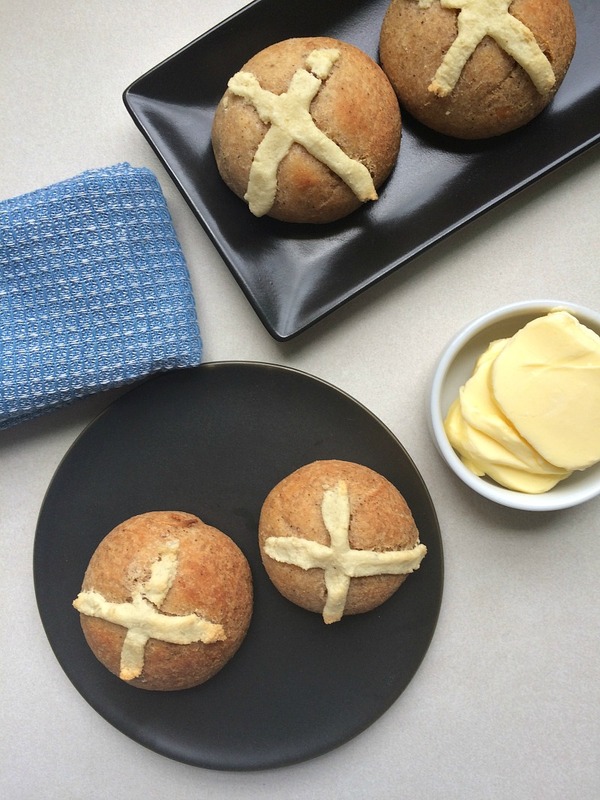 These low carb hot cross buns are a healthy alternative to enjoy over the Easter season. Made with a Fathead dough recipe, they are best fresh from the oven.